Although I was involved in many different ministries over my years as a parishioner at my former Catholic parish, the ministry that meant the most to me was Loaves and Fishes. In fact, even after I joined Easter Lutheran over a year ago, I volunteered to stay involved with Loaves and Fishes through my former parish. Volunteers from that parish are responsible for cooking and serving a meal to as many as 250 people once each month at St. Stephen’s Church in Minneapolis. Generous parishioners also make donations to cover the entire cost of the meal. That group of volunteers and donors comes together to provide a meal to the homeless, the unemployed, the working poor, the mentally ill and to any other person who is hungry… and who is our brother and sister. For the past 29 years, I have made the trip to south Minneapolis each month to be part of the Loaves and Fishes serving team. I am part of a group of about 25 people who serve the meal that has been lovingly prepared earlier in the day by parish volunteer cooks. Now, I will be the first to admit to you that I am not a scripture scholar… not even a little bit! But, when a scripture passage hits home to me, as it most certainly does in this quotation from Matthew’s 25th chapter, I need to take action. For whatever doubts I have had with religion over the years and for whatever doubts I have in what I personally believe, I do know one thing for sure… Jesus Christ gave me an example of how I must live my life. How he led his own life on earth is a standard that I want and need to keep. For all of these years, I have never, ever, tired of this ministry of Loaves and Fishes. It is a simple way to respond to the command of Jesus that we are truly our brother’s and sister’s keepers. 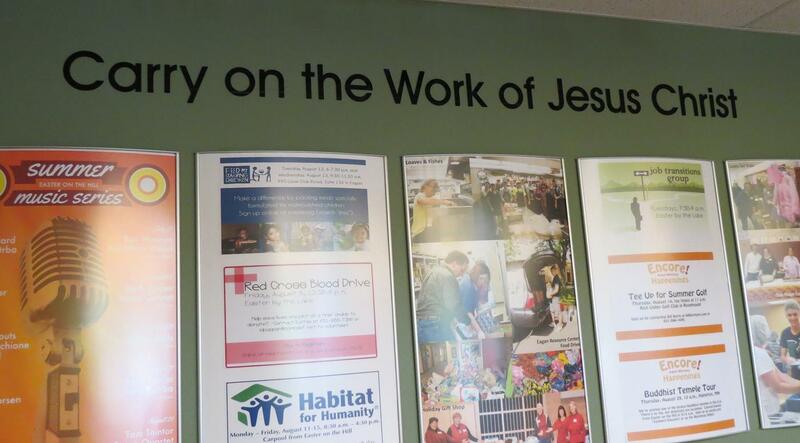 It allows each of us as cooks and servers and donors to make a difference in somebody’s life…to live the gospel. We, in effect, bring Jesus to the people eating our simple meal of salad, fruit, sloppy joes and beans. But, in another sense, the people we serve at Loaves and Fishes bring Jesus to us, as well. For you see, all types of people come through that serving line to receive our free meal. And, sometimes, it is pretty easy to tell that some of these folks are really down on their luck. But, that’s when Jesus makes his most meaningful appearance in my life because, through the life-worn faces of people coming through our serving line, I truly see the face of Jesus, on earth. By serving these people, the command of Jesus… to feed my brothers and sisters… becomes so incredibly real to me, more than hearing the same words at church or reading those same words from my Bible. The people served at Loaves and Fishes create a spiritual experience for me and they strengthen my faith. So, what has this ministry opportunity of having the privilege of feeding people meant to me? I truly believe that it is not enough to “know my faith”. It is imperative that I “act my faith”. Loaves and Fishes gives me the chance to bring Jesus to others as well as have Jesus brought to me. It’s “Love 101”. Ron Jackelen continues to serve at Loaves and Fishes at St. Stephens in Minneapolis and also volunteers through Loaves and Fishes at the Easter Lutheran Community Meal. Soothing balm for the headlines in the news these days comes to us courtesy of six teenage boys in Colorado. Some of our Advent activities have been centered around random acts of kindness. Fill your heart with the story found at this link A Random Act of Snow Shoveling Link. Share your stories of random acts of kindness. As we share our stories, we encourage each other and fill each other’s hearts with the joy of the love that enfolds us during the Advent season. Luke 24: 36 – 40 “While they were still talking about this, Jesus himself stood among them and said to them, “Peace be with you.” They were startled and frightened, thinking they saw a ghost. He said to them, “Why are you troubled, and why do doubts rise in your minds? Look at my hands and my feet. It is I myself! Touch me and see; a ghost does not have flesh and bones, as you see I have.” When he had said this, he showed them his hands and feet. Reflection: What if we greeted people with, “Peace be with you,” instead of hello or goodbye? What exactly would we be saying? It is saying I wish you God’s peace, a peace that Jesus told the disciples was not just peace as the world gives. It is more, much more. It says I want you to be more than calm and tranquil because life’s realities are not always artful or gentle. It says I wish you a peace that comes from God’s heart that will allow you to face the chaos, darkness and grief as well as the sweeter moments with resilience and hope. It says I wish you a peace that brings you a calm strength when life’s harshest and warmest winds swirl around you, a depth of understanding and patience that brings out the grace in you no matter life’s twists and turns. Isn’t that what you really wanted to say? Action: Choose three people today to say, “Peace be with you.” It might be uncomfortable, but all good things start out challenging. As you say the words, think of what you mean. Let the meaning float through the air with your words. You may get quizzical looks and you can choose whether to explain. If saying it out loud is something that is completely uncomfortable, leave anonymous notes of “Peace be with you, “for three people. Peace be with you today. Dear God, thank you for your peace, as it travels us through tough and treasured times. Help us to remember to lean back into your peace and act with your grace and forego our human egotistical temptations. Encourage our hearts to reach out to others and share your peace. Remind us to not doubt that it is always within reach. With peace, Amen. They sought for shelter From the cold night air. Where she could give Her Babe a quiet bed. Was there no room? No corner there? In all the town a spot someone could spare? Was there no soul Come to their aid? A stable bare was where the family stayed. And do you seek Him anew? Have you a place for the One who lived and died for you? Or as Wise as Men of Old? Would you have come that night? Would you have sought the light? the babe who came to rescue you and me. Reflection: Here, as his time on earth is ending and he is known only as a stranger, he is invited to stay with the two he had been journeying with. So different than his first night on earth when no one had room for his parents. I don’t think this juxtaposition is an accident. Jesus, who preached humility, hospitality and inclusion is offered shelter and a meal, not because he is Jesus but because he is someone who needs shelter and a meal. A quiet lesson on hospitality slipped into the ascension story. Hospitality starts with humility. It is not offered because I have more than you and am willing to share. It is offered because this is how we live when we follow Jesus’ example. Hospitality isn’t contained to shelter. Hospitality is being a welcoming spirit throughout our days. Hospitality is recognizing that no matter how much we have, we have no more than any other in God’s eyes. All are equal, the haves and the have nots as defined in earthly ways. When we offer hospitality, we are opening the door to our heart so another can enter and rest in safety. Humble hospitality is a sure way of peace. Action: Today, show hospitality to all you meet. Hold a door open and say hello. Let a car or two merge in front of you. Let someone else go first. Speak to a stranger in an elevator, on the sidewalk, waiting in line at the grocery store. Go to our community meal and sit by a stranger as an equal in God’s eyes. Share your story and listen to theirs. Let your heart burst with the kindness and humility of hospitality. Dear God, make us angels of hospitality. Transform our heart so that hospitality is how we walk this life. Open our hearts as we open doors. Fill us with your inclusionary breath as we love one another. Take away our fear of the unknown and replace it with the courage to learn more about your people. Show us the richness in reaching out to others and reaching in ourselves. With open arms, Amen. As a “cradle Catholic”, I spent much of my adult years as an enthusiastic but somewhat skeptical member of that church. As a man who is a committed feminist, I found that there was a disconnect between my beliefs in the equality of women and the inability for Catholic women to be equal when it came to serving as ordained priests. Last year I began yet another round of soul-searching about this issue. (This struggle has gone on multiple times over the years.) This time however, for whatever reason, I finally knew that my church home could no longer be the Catholic Church. It was time to stand up for what I believed. After determining that even this wonderful new pope, Pope Francis, considered the ordination of women to be “not an open question”, I knew it was time to find a religion and congregation that would better fit my beliefs. I never had any issues with my local Catholic Church. That parish had no control over the rules made in Rome. Still, it was time for me to leave the parish that I had been an active member of for 30 years and the fellow parishioners who had meant so much to me. I always assumed that when I did make the break that I would probably join a local Episcopal Church, since that church and the Catholic Church have much in common, even as the Episcopal Church is more progressive and allows the ordination of women as priests. I had actually bookmarked various Episcopal churches for review on the Internet. However, I had heard that ELCA Lutheran churches were also progressive when it came to the acceptance and full participation of both women and gay people. Although I was pretty sure that I would become Episcopalian, I figured I better take a quick look at the Lutheran Church…just to be sure. An Internet search delivered me to various ELCA congregations, including Easter Lutheran Church. As I reviewed the website, I noticed that there was not just one woman pastor but two women pastors. And, one of those women was the senior pastor. Up until viewing the website, I only knew that Easter Lutheran Church was the church with the interesting name that I frequently passed on my way to the library in Eagan. 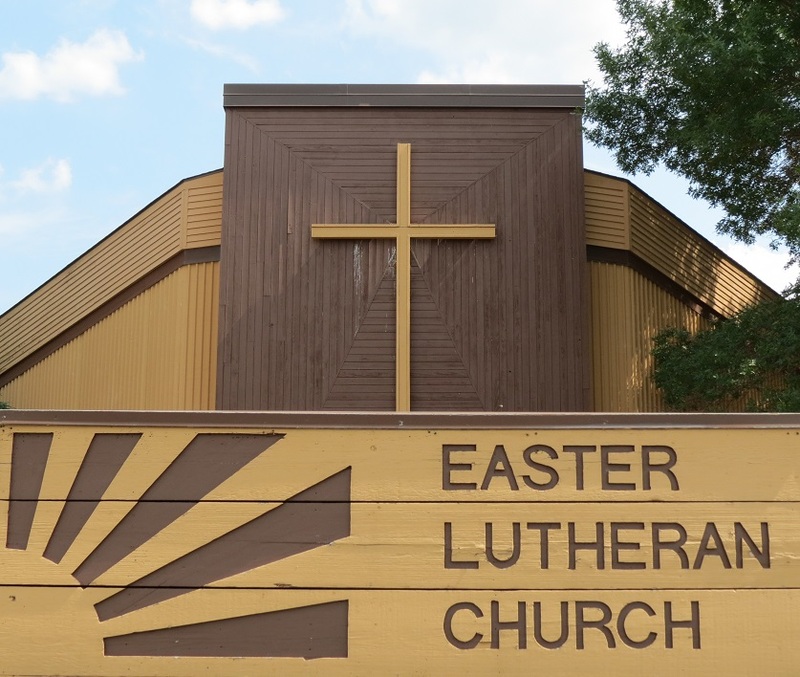 After attending multiple worship services at both campuses, I contacted the Easter Lutheran office and asked for an appointment with Pastor Kris, letting them know that I was a Catholic looking for a new church home. I figured that if you have questions, you may as well go to the top! For almost an hour, I peppered Pastor Kris with questions, trying to determine whether this congregation and the ELCA Lutheran Synod was the “real deal”. Her answers to my questions made me believe that this was the right church home for me. After completing my Advent volunteer obligations at my Catholic parish, I transferred my allegiance and my heart to Easter Lutheran in January of this year. And, as an added bonus (and without any prodding from me) my wife, Michelle, joined me as a member at Easter Lutheran Church as well, after many years of her own estrangement from the Catholic Church. 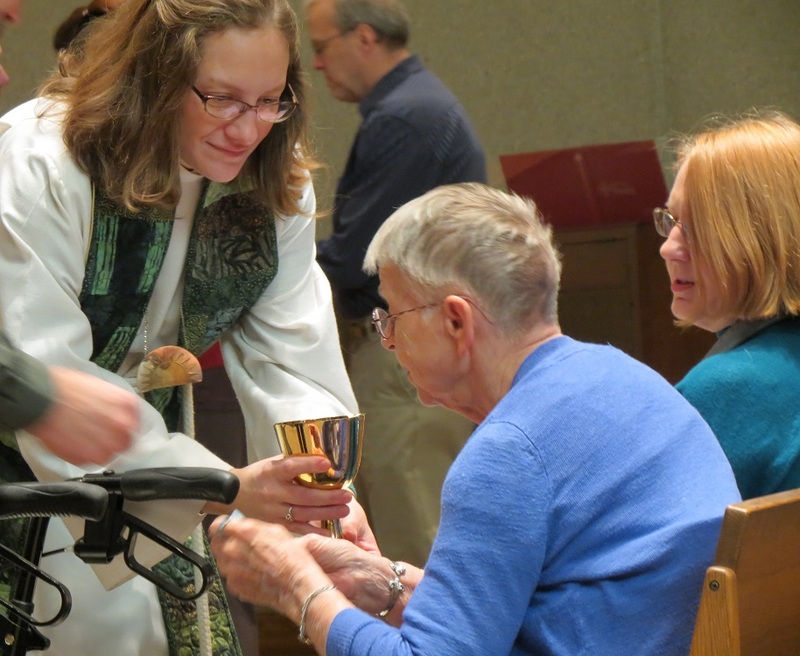 I’m sure that most members of Easter Lutheran are used to all of this by now but when I first saw Pastor Kris preach or saw Pastor Sarah perform the breaking of the bread at the altar, I was absolutely astonished to see women in that role. Months later, I think I’m finally getting used to the wonderful sight of women (and men) equally leading both worship and the congregation. Easter Lutheran Church is a wonderful place, which Michelle and I hope will be our church home for the rest of our lives. That’s the funny thing that happened on my way to the Episcopal Church… I found a Lutheran congregation that fits me perfectly! I guess you never know for sure where you’re going until you get there! Ron and Michelle Jackelen are enthusiastic new members of Easter Lutheran Church. I hope this semester is getting off to a good start for you! Tonight I am watching a good movie on TV, one I’ve seen a few times…”The Blind Side”. Very few movies move me. This one does. Part of what makes the story so powerful, is that it is true. Simple story: a family takes in someone homeless, who is in need. Gives him, not only a place to sleep, but the gift of family. Helps him get through school. He is given an opportunity to succeed, and does, becoming a first round pick in the NFL draft (Michael Oher 2009 draft). Great story. Simple plot. The title “The Blind Side” refers to a line in the movie where Leigh Anne Tuohy, the heroine, (and yes, I truly think she is a hero) tells him his job on the field is to protect the quarterback’s ‘blindside’. But, I think the title, and the story, also calls us to look for our ‘blindside’. How many of us would have seen his need? Seen his need and understood that we could help? Seen his need, knew we could help, and then actually did something about it? Easter has been growing. Not so much in number, but definitely in service to others. Our partnership with Oak Ridge (tutoring/community meals), our partnership with Loaves & Fishes (community meals at the Lake 4 nights each week), our partnerships in Guatemala and Tanzania, and our partnership with Treehouse. These are some of the ways Easter is answering Jesus’s question. How will YOU answer that question? P.S. not in the movie: but the daughter, who was a straight A student, dropped out of some of her advanced classes, so that she could take classes with Michael and help him in school. Easter member Chris Cairo wrote the above reflection as part of his special ministry to college students and others, in which he writes to them on a monthly basis to encourage their faith to thrive in their daily lives.